Except for cushion repair needs, boat's interior is very clean and Cuddy Cabin features such as seating, table, cabinets and doors are in good working order. Ample transom swim deck has drop down ladder and latching door for easy entry. Well maintained inboard/outboard and like-new kicker motor (2016 install) for added trolling capacity. Stock #175014 Roomy! 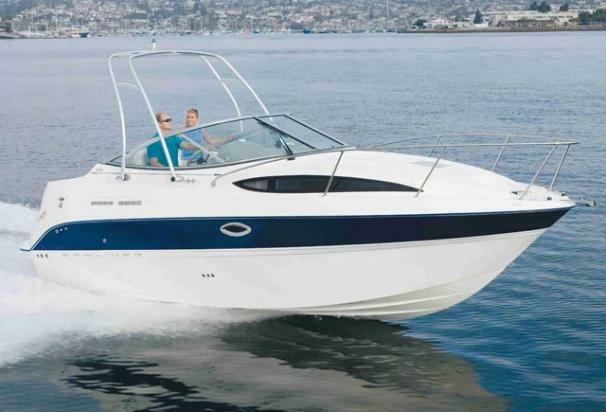 Bayliner 245 Cruiser Cuddy Cabin ~Max Comfort and Fun! If you are in the market for a cuddy cabin, look no further than this 2006 Bayliner 245 Cruiser, priced right at $38,400 (offers encouraged). 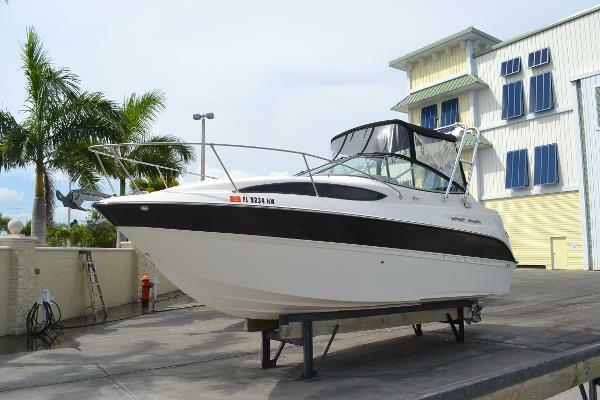 This boat is located in Kihei, Hawaii and is in decent condition. She is also equipped with a Mercruiser engine that has only 130 hours. 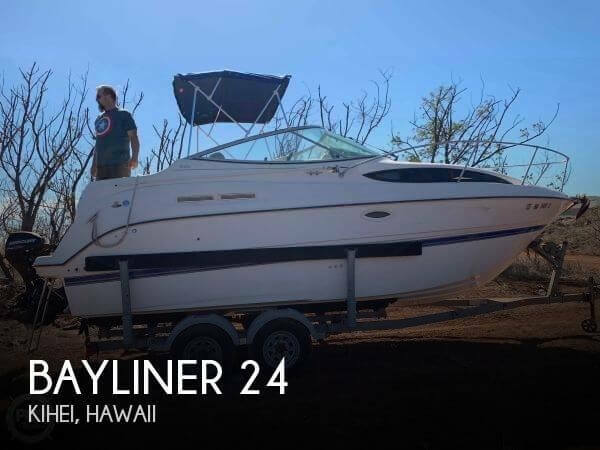 Reason for selling is just the two of us now, so we need a smaller boat..
2006 Bayliner 245 Cruiser 2006 Bayliner 245 The most affordable Sun-bridge model - includes many of the standard features found on our larger models in a trailerable size. 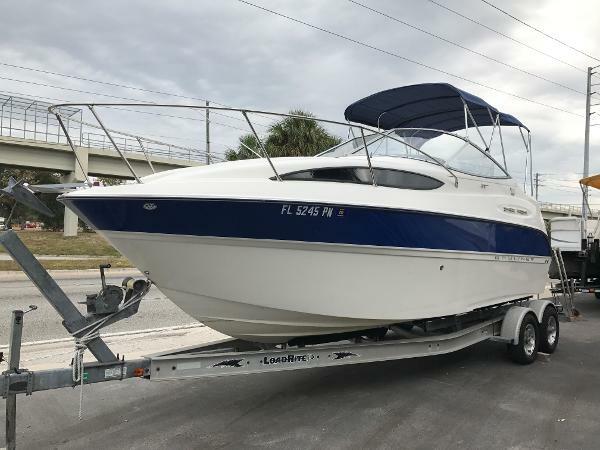 - Used 2006 Bayliner 245 Cruiser w/Mercury 5.0 REPORTED 300 HOURS.This 2006 Bayliner 245 Mid Cabin Express has a Deep Cockpit with a slide out Aft-facing seat and locking transom door. Below, she sleeps four and includes a small galley with SS sink, microwave, stove and refrigerator. 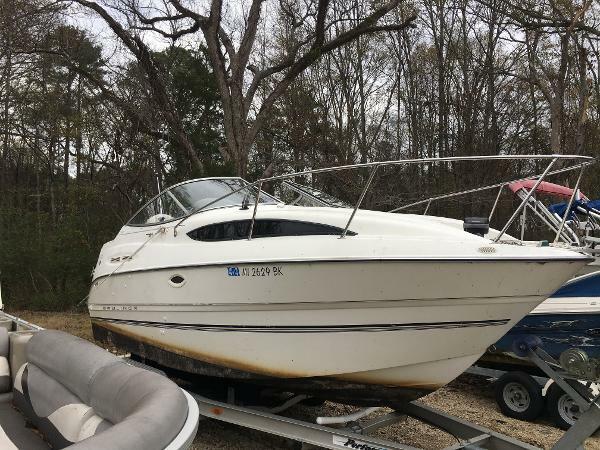 There is a standup head and shower.Portable AC/unit also included,no trailer in the sale of this vessel,boat was stored in covered local marina and maintained on a regular basic.Manifolds+risers recently replaced. 2011 Bayliner 245 Cruiser This 2011 245 Bayliner is basically a new boat. The boat has been dry stored since we sold it new in 2013. Very low hours and just detailed and serviced. The camper canvas is still in the original package. The trailer has never been in water and also shows like new. 2005 Bayliner 245 Cruiser The most affordable Sunbridge model - includes many of the standard features found on our larger models in a trailerable size. 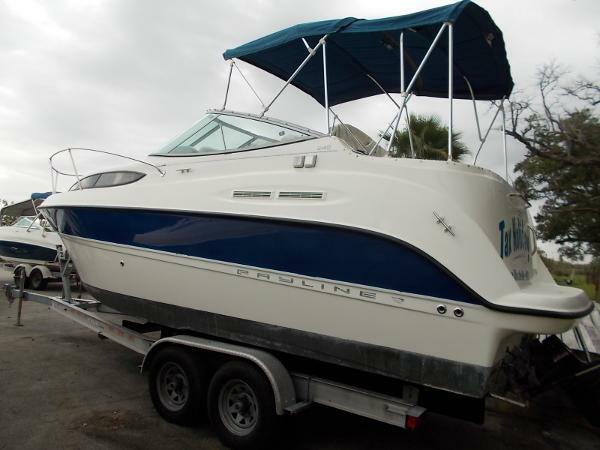 2007 Bayliner 245 Cruiser 2007 BAYLINER 245 CRUISER W/5.0 V8 MERCRUISER. RE-WORKED ENGINE W/REMAN MERCURY DRIVE. 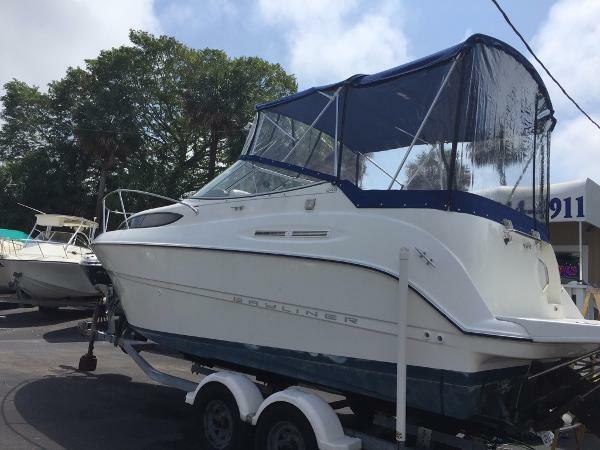 FULLY SELF CONTAINED W/SHORE POWER, FULL GALLEY W/MICROWAVE, FULL HEAD, AC/HEAT, AFT CABIN, DUAL BIMINI TOPS, BOTTOM JOB, TRIM TABS, AM/FM/CD, CHERRY WOOD INTERIOR, CORION COUNTER TOPS, COFFEE MAKER, HOT/COLD COCKPIT SHOWER, SAFETY EQUIPMENT, AND BUMPERS INCLUDED. GREAT BOAT W/NEWER 2014 CUSTOM ALUM. TRAILER. 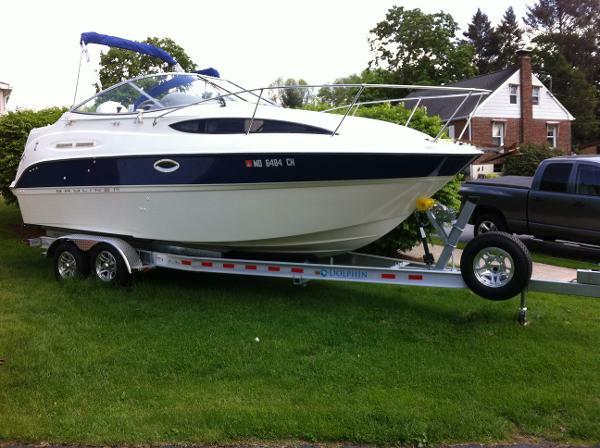 2006 Bayliner 245 Cruiser * MOTIVATED SELLER * MAKE AN OFFER! * This is a real nice, clean example of well maintained entry level family cruisers. Nice looking dark blue get coat hull. Great, versatile cockpit seating. Marine air conditioning. Cockpit cover and full bimini enclosure. 5.0L Mercury V-8. Microwave, refrigerator, shore power, marine head. Make an appointment to see this one before someone else does and buys it. 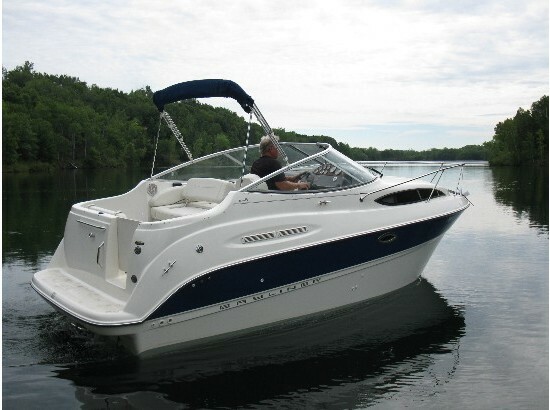 2009 Bayliner 245 Cruiser Great weekend Cruiser! Clean and well maintained with regular maintenance schedule. Recent engine replacement with VERY low hours. Call today to schedule a showing. 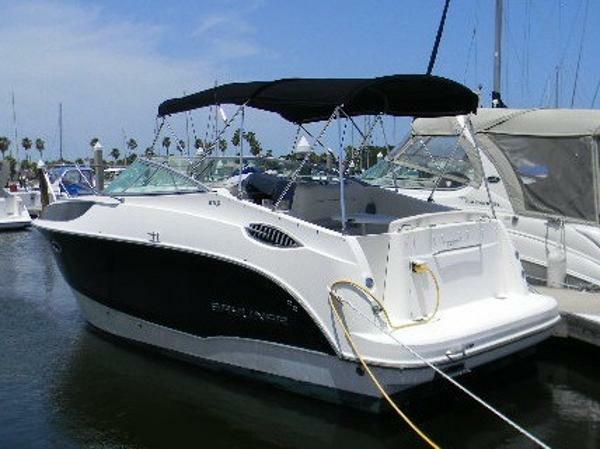 2005 Bayliner 245 Cruiser Just listed. No photos till after Labor day but this is a good deal on a great family boat. Don't miss out. Stored in Dry Rack Facility no trailer, super clean and only 350 hours on Mercruiser 5.0 Alpha. 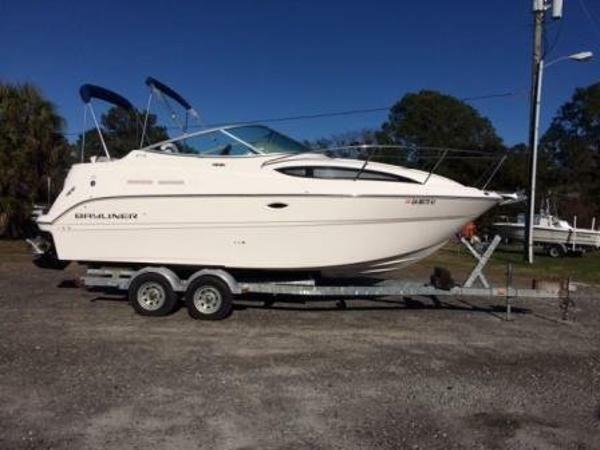 2006 Bayliner 245 Cruiser This Bayliner 245 cruiser is in very good condition and sports many upgraded options including 5.7L power with Bravo 3 dual prop outdrive, interior decor package, air conditioning/heat, camper canvas, cockpit cover, vhf, chartplotter and more. 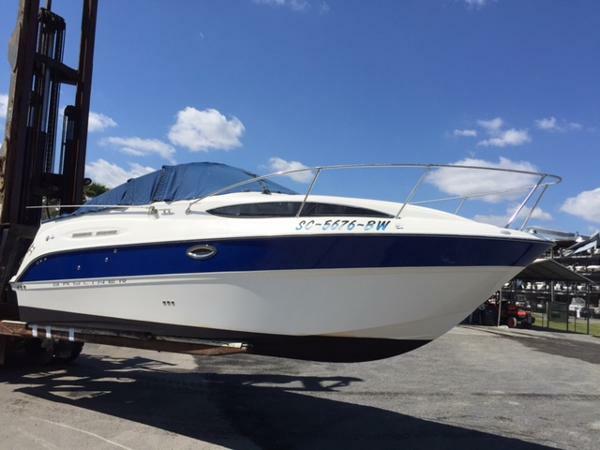 2004 Bayliner 245 Cruiser Very clean FRESH WATER boat. Has the Mercruiser 250 HP Bravo 3. Comes with Air Condition w/Heat, New Bimini Top w/Enclosure, New Camper Top w/Enclosure, New Cockpit Carpet, New Curtains, New Batteries, Refrigerator, Hot Water, Electric Stove, Microwave, VHF Radio, GPS, Depth Finder, Compass, Anchor, Battery Charger, Dock Lines, Fenders, Life Jackets, Dockside Electric, Head w/Shower, Swim Platform, Trim Tabs and More! Also comes with a New 2014 Dolphin Trailer. 2004 Bayliner 245 Cruiser 2004 Bayliner 245 Cruiser You need to take a closer look at this wonderful boat.She is powered by a 5.0L Mercruiser (reported 300 hours) and is equipped nicely including : Brand new Camper canvas, pro mounted, SS platform, Windlass anchor, windshield wiper, AM/FM radio with CD, VHF, New Garmin touch screen 741XS depth sounder,/fish finder, fresh water 20 gallon storage, flush toilet (20 gallon), shower, microwave, stove, fridge,Aft cabin and will sleep 4 persons. 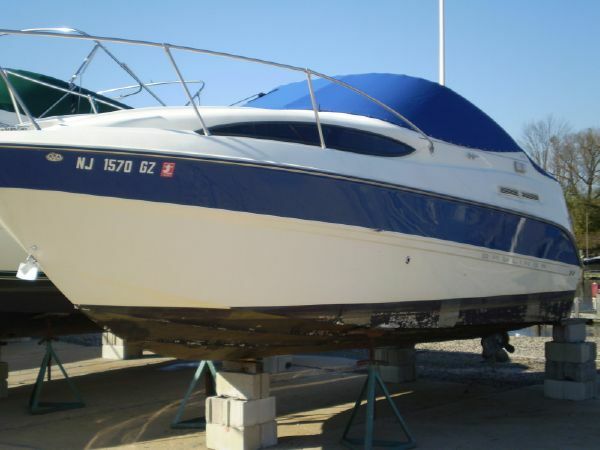 This is a clean boat for its age,wont last long,please call for more info, thanks for looking.